Since winter was a little rough and we are sure your car is way dirty we thought you might want to get it washed. Here is a fun way to get it acomplished, although you have to go to Argentina. 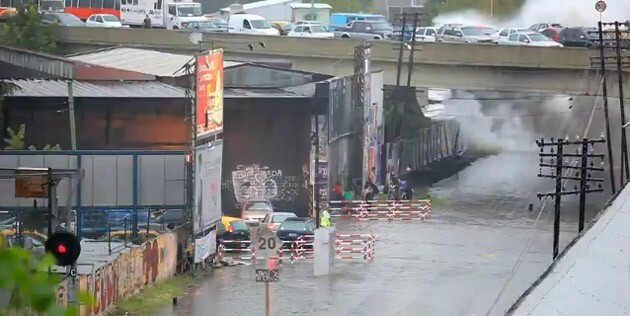 What happens when you combine a flooded underpass, a traffic-jammed overpass, and a passenger train in Buenos Aires, Argentina? You get a real-life Six Flags water attraction. Those people standing near the train tracks? They need towels. Hope everyone up on the road above had their windows closed.